From Matuschke - checkdissouts Webseite! 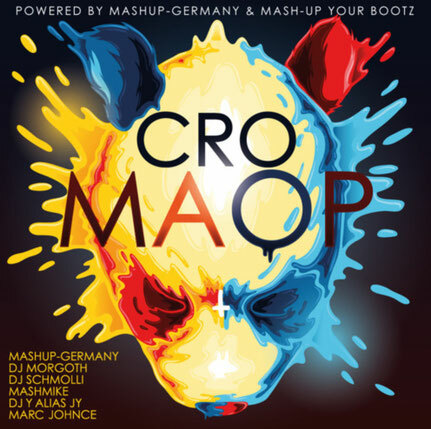 Matuschke (Radio Bayern 3) selects my mashup « Sunny, Happy, Easy – Part 2) as « Mashup Of The Year 2012 » in his radio show. Adam Sandler's new movie « Just Go With It » is released by Sony Pictures. Adam Sandler himself heard my mashup « Can’t Stand Beggin' » (The Police Vs. Madcon) on vacancy in Spain. After it, Sony Pictures asked me to remaster it and released it officially as a part of the movie soundtrack. Success! Milow tweets my mashup « Milow Blacc » twice (Youtube video): « Apparently my guitar part for my ‘Ayo Technology’ cover blends very well with Avicii & Aloe Blacc’s ‘Wake Me Up' » . Universal Music Germany releases my « Summertime Madness » mashup (Lana Del Rey Vs. Kool and The Gang) as a Promo-Tool (Jazzmoon, Mondmann’s Promotion Pool) for Lana Del Rey’s new single "Summertime Sadness" . Mondmann told me in an e-mail that she really loves it. This mashup has been cleared and authorized by the management of Lana Del Rey and Anna F. Success! Moby likes my « Extreme Ways In The Deep » mashup: « I like a good mashup » and posts it on his homepage, on Facebook and Twitter. Moby reposts my « Extreme Ways In The Deep » mashup on his homepage, on Facebook and Twitter saying: « i just cant get over how much i like this. i actually like it more than the original version of ‘extreme ways’. kudos to adele and the dj who put this together » . -M- (Matthieu Chedid) retweets my « -M- im Kopf » mashup I made for his aftershow party (concert in Munich): « BRILLIANT » !